On his fourth ZOHO CD outing as a leader, or co-leader with Hendrik Meurkens, and his follow-up to his 2009 ZOHO solo album From Yucatan to Rio, bassist-composer-arranger Gabriel Espinosa explores the common ground between two prolific and influential popular composers who came to prominence during the ‘60s in their respective countries -- Burt Bacharach in the United States and Armando Manzanero in Mexico. With five-time Grammy Award-nominated vocalist Tierney Sutton handling the five familiar Bacharach tracks and Espinosa himself singing the Spanish lyrics of five tunes by his fellow countryman and native of Yucatan, this alluring concept album is brimming with the kind of sophisticated harmonies, unexpected chord progressions and changing meters that mark both acclaimed composers’ work, while also being unabashedly romantic at his core. 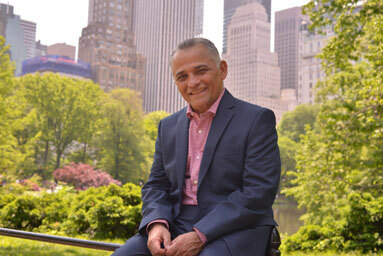 Gabriel Espinosa. Photo: Mulato Films. 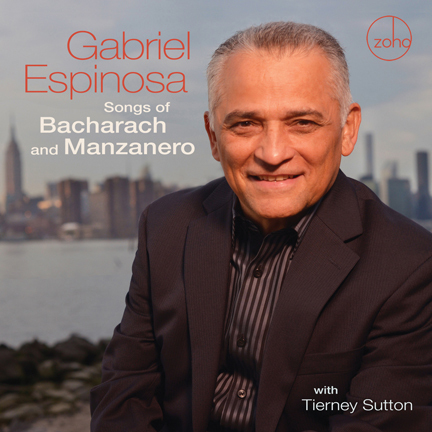 Espinosa tells some heartfelt stories on “Songs from Bacharach and Manzanero”. And he gets a major assist from the crystalline vocals of Tierney Sutton. Together they show reverence for these two iconic composers in this moving and meaningful set of music.